Could she know "All Too Well" that the lines aren't hers? That Taylor Swift had to shelve her famous “O” face for the Country Music Awards last night wasn’t such a big deal — the crossover star became the Queen of the Charts on Wednesday when it was announced that her fourth album Red notched the best debut sales week of any album in over a decade. 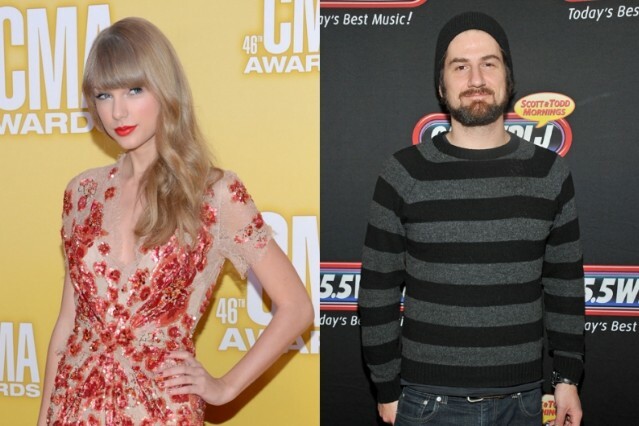 Of course, as has been noted, bringing home more bacon means suffering more hatin’, and now reports are emerging that a singer-songwriter named Matt Nathanson is saying that Tay stole his lyrics. On October 24, in a now deleted Tweet, Nathanson wrote, “she’s definitely a fan… and now she’s a thief.” As ONTD points out, his 2003 song “I Saw” and her new one “All Too Well” share a pretty specific lyric: “And I/I’ll forget about you long enough to forget why I need(ed) to.” So he has a point. And as for her already being a fan, the proof is in the penmanship. See, Swift does this thing where she writes lyrics that she likes on her arm before shows, and on July 20, 2011, she wore one of his “Queen of (K)nots” lines across her left bicep. While Nathanson removed his initial comment, he’s apparently catching a lot of flack from Swift fans on the Internet, which reminds us of Deadmau5’s comment about farting against thunder. No word on whether there will be any legal ramifications for the apparent cribbing, but there’s enough hubbub to go around. Apparently the singer-songwriter world isn’t as liberal with lyric-lifting as hip-hop is. Otherwise, Vanilla Ice wouldn’t be flipping houses, making metal records, and sponsoring roller coasters — or whatever it is he does these days. so far, my favorite thing about today is the wave of @taylorswift13 fans calling me a prick on twitter for writing “i saw” in 2003.